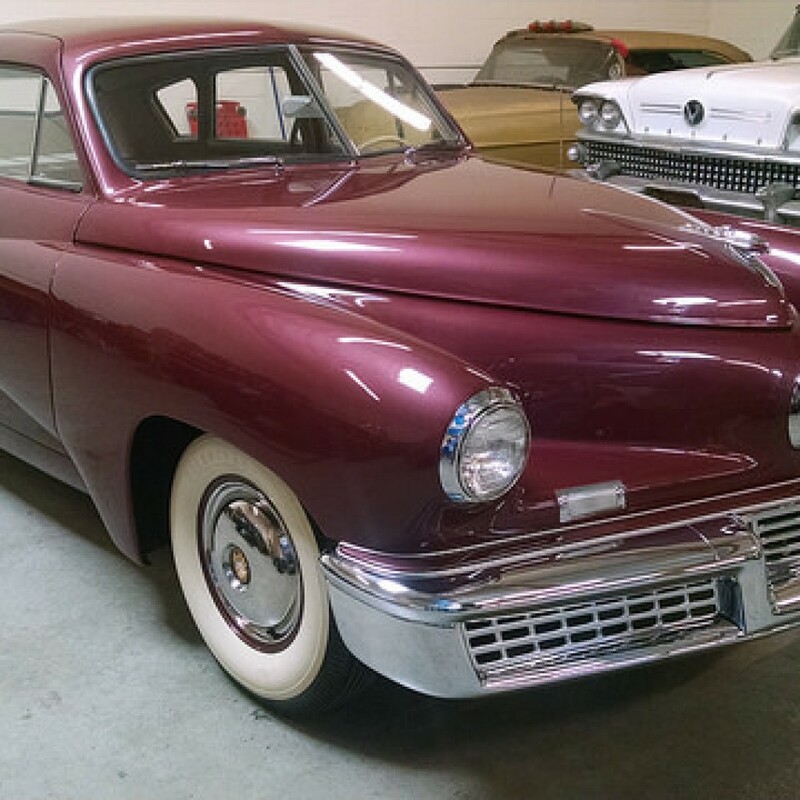 Notes: Number 1003 was sold new by the factory to Arkansas Tucker Sales Corporation. Not long after, it was returned to the factory in exchange for car 1002, and it was sent by Farber Motor Sales, of Columbus, Ohio, to Cincinnati, where it was displayed on the streets and at the Music Hall there. 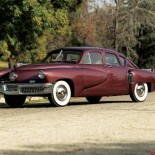 It was promoted in Cincinnati by local dealer Eddie Numerich, and apparently,it remained in the Queen City until June of 1950, when it was sold there by the Watson Auto Auction. 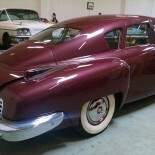 Apparently Art Watson was the buyer of the car, which he took to Florida in 1951 and displayed at his dealerships there. Research points to a 1962 transfer from Watson to William C. Pettit III, of Louisa, Virginia, who drove it from Pennsylvania to its new home. 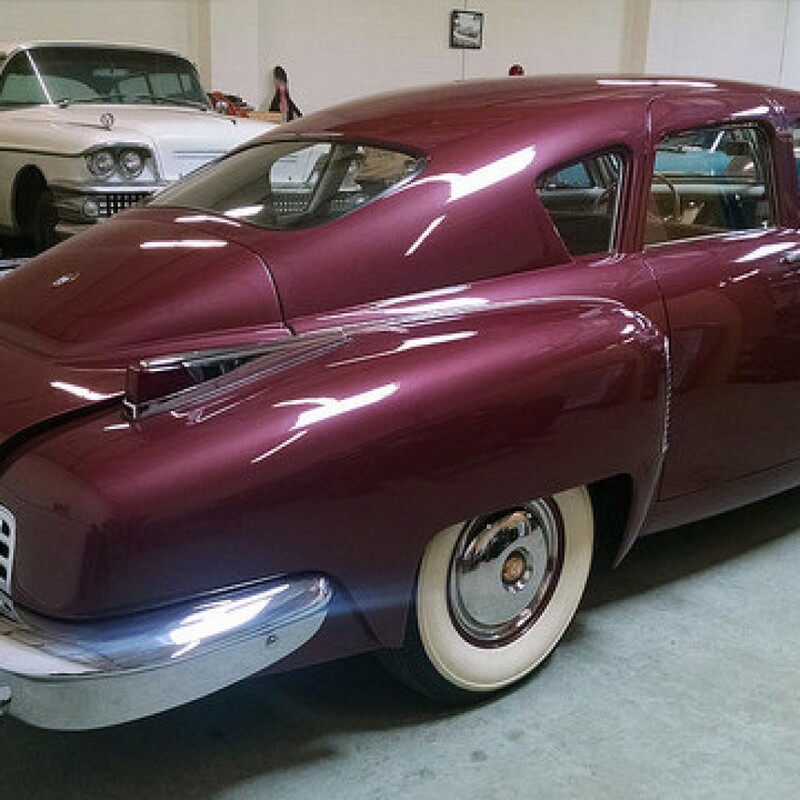 The Tucker was a visitor favorite at the Pettits’ Museum of Motoring Memories, open for several years near the tourist mecca of Natural Bridge in the 1960s. Bill Pettit cared for his family’s cars for decades, and even after the museum closed, he sentimentally maintained the collection. In the late-1980s, his retirement resulted in the sale of many of the cars, including the Tucker, which was purchased by none other than George Lucas. 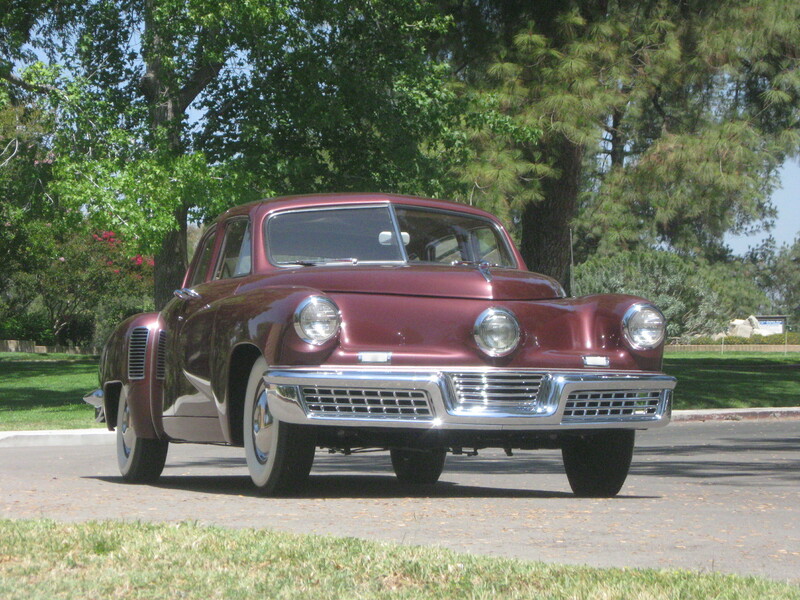 One of Lucas’ contributions was as executive producer of Francis Ford Coppola’s 1988 film Tucker: The Man and His Dream, a fictionalized version of Preston Tucker’s story, starring Jeff Bridges. 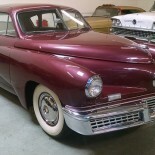 The film revived modern interest in the Tucker and has become something of a cult classic among automobile enthusiasts. Both Coppola and Lucas acquired genuine Tuckers, of which, Lucas’s 1003 sat proudly in his private collection at his Skywalker Ranch. After several years, the filmmaker decided to sell one of the pair he owned and to pass this car on in June of 2005. 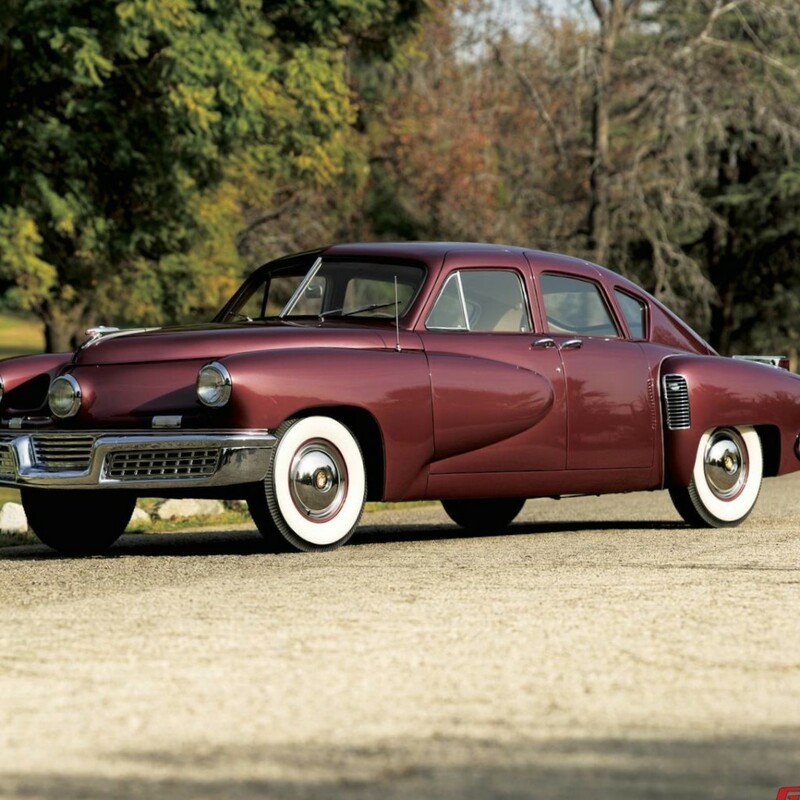 It was eventually acquired by owners in California, who elected to have the Tucker fully and properly restored. 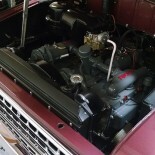 Several years of exhaustive work followed, including the straightening and refitting of all body panels, installing all new wiring throughout, restoring all instruments and unique switches, crafting correct upholstery and interior fittings with many NOS parts, carefully refurbishing and refitting all chrome, with special attention given to the rear grille, which required extensive restoration, crafting new, correct wheel-covers, and matching the as-delivered Maroon paint to an original sample in the collection of Tucker guru David Cammack. The majority of the exterior work was carried out by Bata Mataja’s B.A.D. Company in Sun Valley, California, with a myriad of finishing touches and a sorting of the mechanical restoration undertaken by Martyn Donaldson, a Tucker Club historian in LoAngeles. Mr. Donaldson is acknowledged as a leading specialist on Tucker authenticity, with first-hand familiarity with 40 of the 51examples produced. Importantly, unlike many Tuckers today, great attention was given to sorting this car mechanically so that it would be a reliable road car. Accordingly, it was driven on the freeway to a show at the Art Center College of Design, and it remains not only a beautiful automobile, but one that is fully and robustly functional. As can be imagined, it is a particular thrill, enjoyed by a remarkably fortunate few, to see one of these dramatic and historic cars on the road under full power. Thanks to John Tucker Jr, Martyn Donaldson and GT Spirit for the photos.